In fact, Australia is failing to produce a workforce with the technology skills that will secure our economic future. Often, we outsource technology work to third party service providers or even turn to workers from overseas to fill the gaps. 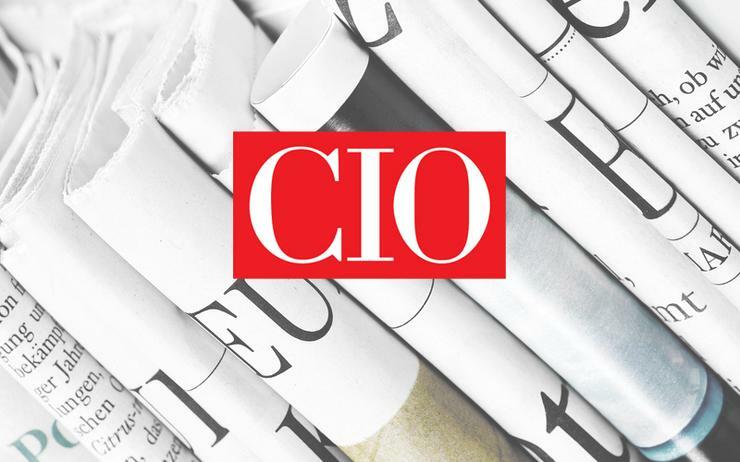 Senior tech execs who were part of a panel discussion at the CIO Summit in Melbourne discussed the strategies they are using to fill technology skills gaps across their organisations. The panel was supported by Pluralsight. Anthony Shaw, who leads talent development globally for Dimension Data, says the biggest way the skills shortage has impacted the system integrator has been in wage growth. “Wage inflation has been significant in various roles, definitely cyber security, DevOps and in a lot of the engineering spaces,” says Shaw. “We’ve seen a lot of fragmentation of roles so if you say somebody is a cloud architect, for example, are they a Microsoft Azure architect or an AWS one? And if they are an Azure architect, do they specialise in data services or cognitive services?" Shaw adds that a boom in people wanting to be ‘solo artists’, running their own contracting businesses. Dimension Data employs more than 30,000 people globally with just over 10,000 people in engineering or technical roles. The company’s global training budget is over $18 million. “But it’s very distributed so if we say we want to build up new skills, it’s quite hard for us to do that because the budget sits in the cost centres," Shaw adds. "One of the first things we did was try to centralise some of the budget. "Then we looked at where and how it was being spent, we saw there was quite a large amount of cost being put onto certification and compliance training, which is important but it is not transforming out skillset in the business. "Then we looked at the tools we had available to our employees, if somebody wanted to be trained in a new skill, if they wanted to be trained in DevOps, they would have to go and ask their manager, their manager would have to approve it, they would have to go on an offsite course for $5,000 and only a small number of people would get trained on new skills." As a result, Dimension Data canned this system and has increased its skills development by 300 per cent in terms of the number of skills and people being trained across the company while giving staff more time to learn, Shaw says. “While buying skills in is definitely a strategy, as soon as they start in your organisation they are going to expect to be able to develop week after week," Shaw adds. "The top engineers in our organisation will be spending three to five hours per week learning new skills and if you want to go and hire those people – bring them in or acquire a company, they are going to expect that from day one." Meanwhile, Paul Boicovitis, global learning senior content curator at Telstra, says the telco is moving away from a hardware to a software-defined infrastructure business. “So the skills around software-defined networks and network function virtualisation, they were identified as gaps for us very early on,” he says. To deal with the skills crisis, Telstra is benchmarking and testing the skill levels of its staff and then engaging specialised content providers that provide new opportunities for learning, says Boicovitis. Telstra now applies a three-pronged ‘build, borrow and buy’ approach to training, he says. “We are building capability internally with a strong ecosystem of learning platforms, a lot of assessment, benchmarking and leadership-focused learning as well," he adds. "We know that in most organisations there tends to be a ceiling of learning; once you get to a certain point, personal development can be the least of your concerns. So we are not just focused on the bottom, we are focused on the top level as well. "We have a pretty strong borrow approach as well. We know that as organisations downsize, they move to a much more contingent workforce. "The challenge is that every organisation is going through some kind of transformation at the moment so the contingent workforce is in great demand and it certainly is a seller’s market. So you’ve either got to look onshore … or offshore and if you can’t find that contingent workforce, you go out and acquire it,” he says. Over the last 24 months, the telco has acquired and partnered with organisations gained access to the talent it needs. In November 2017, Telstra acquired connected vehicles supplier MTData and in August 2015, the telco created a new Pivotal Labs office in Sydney which is an innovation hub for its enterprise customers. “This has helped us address the very short term skills shortages for us,” he says. Boicovitis adds that a build strategy will pay off for organisations because a lot of executive remuneration is now geared towards short term incentives. Panelist Fiona Sweeney, who is APAC regional director at Pluralsight – a company that markets an online learning platform – points out that staff love working at an organisation that invests in improving their skills. “The last thing you want is to provide training for folks and then they are bought out and moved to other organisations," Sweeney adds. "Traditional training methods of ‘face-to-face’ are very expensive as well so we are about democratising technology learning so it’s affordable and accessible to everyone across the business, not just the select few." Sweeney says that companies will often send staff members away to be trained in particular areas in the hope that they will come back and share what they have learned with other team members. She says people are not necessarily proficient in passing on their learnings to other staff. Pluralsight markets a training content platform that uses an artificial intelligence which enables companies to assess staff in their skill levels and obtain a ‘skill IQ’ which can be benchmarked against other people around the world. This enables organisations to strategise and plan for the skills that will be needed to deliver their projects, says Sweeney. "We are about helping folks have what they need,” she says. This article originally appeared on CIO Australia.